Guaranteed SEO Services – www.seoquote.com.au/SEO – Page 1 in 90 Days or pay nothing. Australia’s Most Trusted SEO Firm! 6 months ago we took a pretty a nerve-wracking leap of faith and asked you to get behind us and help us to continue putting climate change on the national agenda. 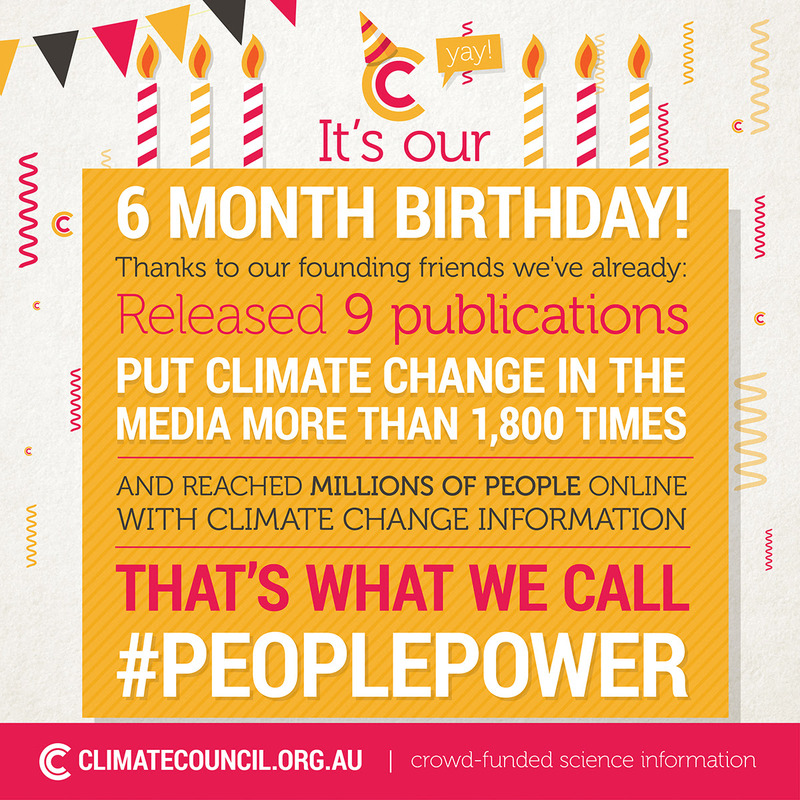 The positive response was overwhelming, and in September last year, after the biggest crowd-funding campaign in Australian history, our Founding Friends launched the new, independent Climate Council. Together, we proved that a huge group of Australians are concerned about climate change and expect to see a science-based, common sense debate about the issue. Of course, keeping the facts in the media, ensuring politicians, emergency services, health professionals and the public have access to the latest science, and driving viral social media debates on climate change requires long-term planning and stable funding. We know the job ahead of us is big, but we’ve built a talented team and we’re ready to take it on. There has never been a better time to support our work. If enough of us can contribute just $25 per month it will ensure we can achieve even more in the next 6 months. Without support from our Founding Friends we wouldn’t have made it this far, so from the whole team at the Council, a sincere thank you and we hope that you will continue to support us throughout 2014. P.S. Make sure you check out our new website where you can find all our latest updates as well as donate easily online.